"My comrades, we find ourselves living in the day and age of what I will refer to as the era of the engorged cigar. A cigar cannot be “too big” these days. This phenomenon reflects what is intrinsically ‘MURRICA, and a true value at the same time. We have calibrated some of the most exquisite Nicaraguan Tobaccos to rest within these oversized vessels comfortably, deliciously and then made easily accessible to the everyday aficionado." "Over the past few years the Room101 Brand has come to be a success in a myriad of dimensions. Now I propose we give back to those that helped get us there in the first place. 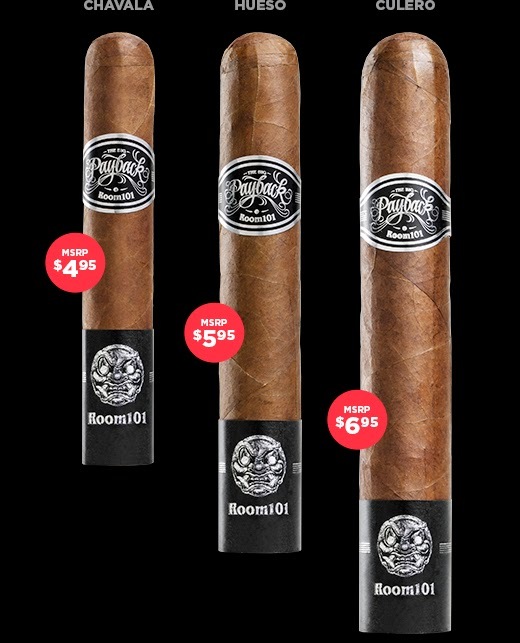 The cigars in this series are priced well below where they should be. This is Payback of a different sort – my payback to you for the support and dedication over the years." ROOM101 IS A REGISTERED TRADEMARK OF CONSPIRACY, INC. ©2014, ALL RIGHTS RESERVED. Every once in a while there is a new innovation in cigar accessories popping out to the market. Usually some sort of an alternative design in search of the perfect cutter. 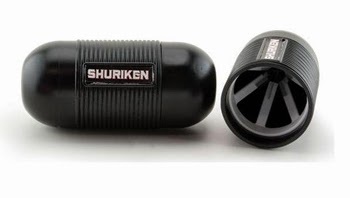 The Shuriken cigar cutter is one of them. It is basically just a closed tube with some blades at the end where you stick your cigar and the blades run slots through the cap. There are, however, some basic issues in the design. First, the blades do not offer sufficient cuts to enable good draw. The blades just make slot to the cap and when you go about improving the draw, you end up slashing your cigar up quite badly... Second, pushing your cigar against the blades creates pressure to the cigar to which it is not design to. This can cause the wrapper to rip or even fracture the whole structure all the way through the binder. There can be the same risk to small extent also in punch cutters, but at least with punch you see the blade going in and can easily control the pressure through that. 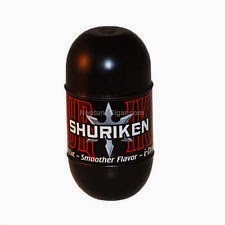 With Shuriken you go blind. 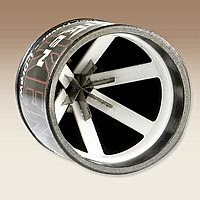 Nice idea, but why try inventing the wheel again? There are plenty of simple and effective cutters out there. No need to go all experimental. I tried to look if i had reviewed a Tatuaje in the past, but could not find any. It's about time then! I have enjoyed the Tatuaje releases in the past and thought i'd give a go for the Cojonu 2009. The cigar has a beautiful deep brown silky wrapper. It feels right in the hand, good firmness, good size, nice tapered cap - no negative remarks. The unlit fragrance is that of cocoa and coffee with a sweet twist. The draw is a bit too easy for my taste. The start of the cigar, following the first draws is not as sweet as the unlit aroma would suggest. The cigar also turns out more mellow and smooth i expected. The flavor is earthy and rustic with some cocoa on the side. After about an inch the cigar gets a little more strength and offers flavors i associate to a traditional Finnish sauna - Toasted birch with a warm and gentle sweet tones. This experience follows through the cigar, right up to the end, where some acidity from citrus fruit and hints of that cocoa from the start build up. All this with an abundance of smoke and a finish with toasted sugar, this cigar offers an experience you do not want to miss. Ever since the 2006 Limited Edition Cohiba Piramides, i have been waiting for the vitola to hit normal production. Now the Cohiba Piramides Extra has been around for a couple of years and i must say it was worth the wait. Inspired by this, i plan to also publish a review on the 2006 LE soon, but first things first. I love the shape of the piramides in general and the Piramides Extra is a great example of the vitola and the craftsmanship behind it . the wrapper has a silky shimmer. Unlit, the cigar gives a delicate fragrance of leather and oak. In the beginning the draw is a little tight, but opens up after a few minutes. The start is creamy and has definite oak and leather flavor. After a short while, the cigar really opens up and creates delicious flavors of honey roasted nuts and rye bread (Finnish, that is) combined with hints of pepper. Half way through the cigar powers up and builds more sweetness from the honey. The finish is quite short and creamy. The last third is a beautiful balance of strength and flavor and is the portion of the cigar which really is worth it for me. The strength does not eat away the creaminess, but adds on top the flavors and brings along also more leather and oak. All the way through, the Piramides Extra is a creamy and smooth cigar with a kick in the head at the finish line. In my opinion, a great cigar for aging. 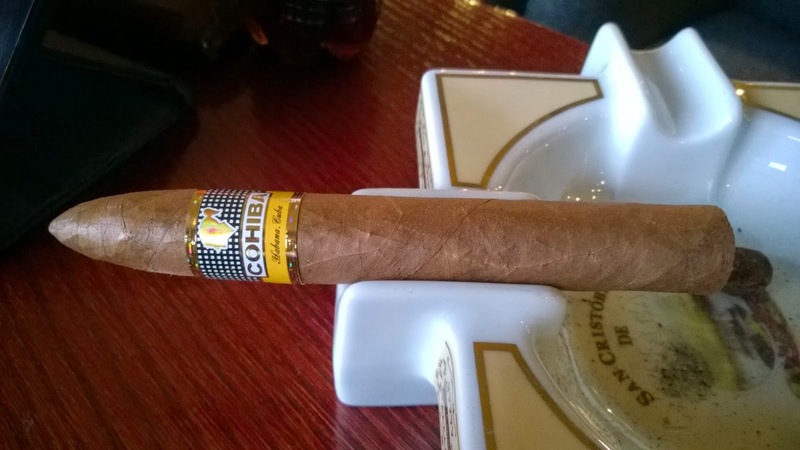 Currently, not the best from Cohiba, but close enough. As a member of the Partagas family, the Serie E2 lives up to its heritage. 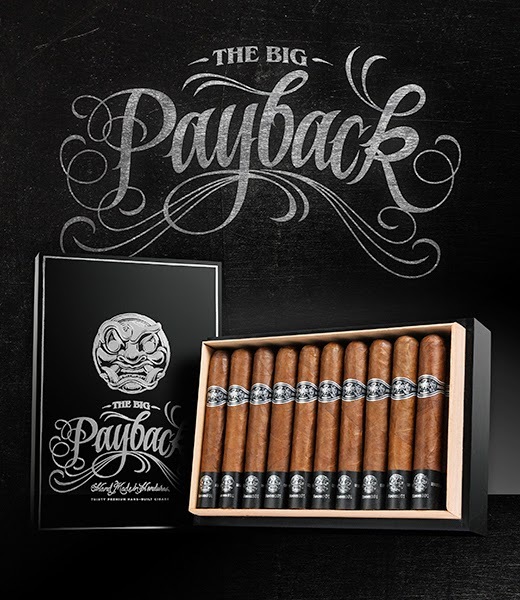 When i grab a Partagas, i always have the anticipation of familiar flavor and experience, and this time is no different. The start was not too great though. The cigar feels too firm and the draw too tight. Unlit, it can be describe giving a sweet peppery aroma with some cinnamon on the side. First draws, although tight, are creamy and nutty. Luckily, after about an inch the cigar opens up on the draw as well as flavor. Familiar leathery and peppery flavors jump out from the white smoke. By surprise, some fruit and berries peek around the corner. 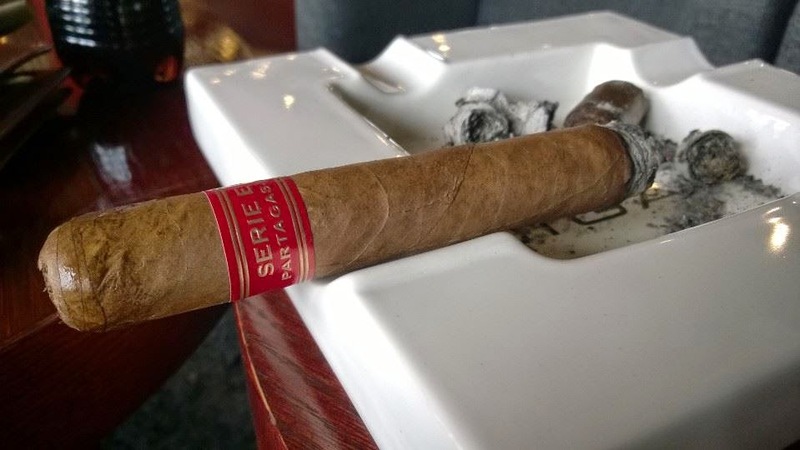 Second third can be described by Partagas-like pepper and leather wrapped in a full creamy body. Finishing off in the last third earthy flavors combine with profound tobacco spiced up with pepper. The finish is peppery. Definitely a Partagas. Solid great standard. The My Father Le Bijou 1922 series was created by Jose "Pepin" Garcia to honor his father who was born in 1922. This medium to full bodied gran robusto is a fine example of the quality My Father Cigars has to offer today. The cigar looks and feels great. Unlit, it gives an easy, leathery first impression. When lit, the first draws reveal a very creamy flavor profile which develops some cocoa, leather and oak in the first third. Going towards the halfway mark, the creaminess remains, but other flavors start to manifest. The cigar takes on some spice with rosemary on top. Floral notes arise with some sweetness from fruit - like a delicate French perfume. All the way up to the end, the cigar is very smooth and creamy. The last third adds to the cocoa, spice and leather, but otherwise remains on the same path from the second third. The finish is mild and short with some hints of bread. 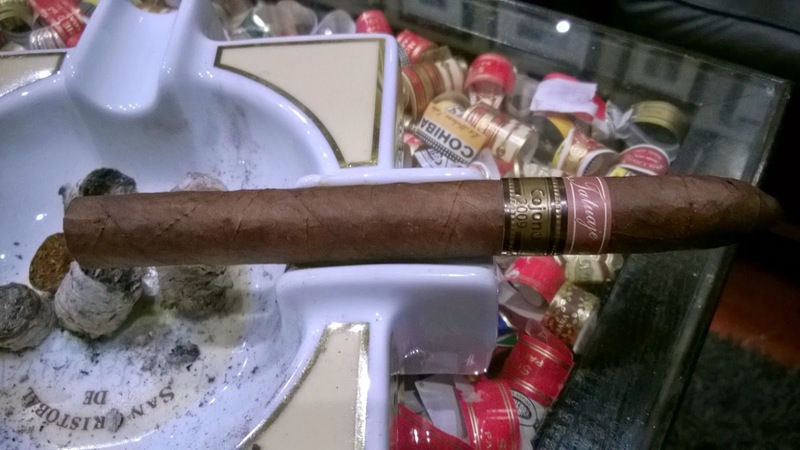 Overall, an interesting cigar, which absolutely is worth a try. One of my personal favorites from My Father Cigars.